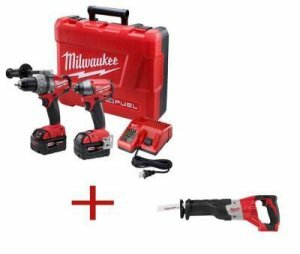 HomeDepot has a large selection of Milwaukee Cordless Tool Kits that come with a bonus Free Tool. There are quite a few different kits to choose from as well as a few different Free Tools. This seems to be the best way to buy a Milwaukee cordless tool kit.